We apologize that we are experiencing a temporary system-wide outage. We are moving to a new internet provider, hoping early this week. And that's why The Inn has been looking a little spare lately. From the sublime to the. . . .
. . .well, not ridiculous precisely. Astonishingly bad taste, certainly. A Night at the Mausoleum. And "Tales from the Crypt". I suppose we can hope it's just the advertisement that appalls and that the "tour" itself is. . .different. As good as this vesper service looked, it was just on the wrong continent for commuting purposes. But this one is definitely on the calendar. So if you're in the Orange County CA area this All Hallows Eve and not in the mood for dressing up as Nancy Pelosi and scaring small children, you could do worse than a trip down the freeway to San Juan Capistrano. The Occupy Wall Street Phenomenon on the left = The Tea Party on the right? We turn briefly to Occupy Wall Street, because people, including the president, continue to compare it to the tea party. It is not the tea party. The tea party was a middle-class uprising that was only too happy to funnel its energy into the democratic process. They took their central concerns—spending, taxes and regulation—and followed the prescription of Joe Hill: Don't mourn, organize. They did. They entered politics and helped win elections. They did the Republicans a big favor by not going third-party but working within the GOP—at least for now. Occupy Wall Street is completely different. They mean to gain power and sway by going outside the political system. They are a critique of the political system. They went to the streets and stayed there. They are not funneling their energy into the democratic process because there is no market for what they are selling: Capitalism should be overturned, I am angry that my college loan bills are so big, the government is bad, and the answer is more government. You can't win elections in America with that kind of message. So they will stay in the streets, where they can have an impact by stopping traffic, inconveniencing people going to and coming from work, and appearing to be an amorphous force that must be bowed to. The difference between the occupiers and the tea party is the difference between acting out and taking part. From Peggy Noonan's column in this morning's WSJ. Where is Mr. Obama in all this? He has made sympathetic sounds about Occupy Wall Street, probably seeing it as ultimately part of his base. Beyond that, he's out campaigning. Sometimes he is snarky about Congress: He's giving them "another chance" at voting on his jobs bill. Sometimes he is self-justifying. He told ABC's Jake Tapper that "all the choices we've made have been the right ones." Sometimes he lectures America. But he doesn't buck it up, and he must know in his heart that it's coming for the keys. Men forget that tradition, though it gets warped with time and tends to be diverse and vague, is commonly sincere; whereas a document may be, and, if official, commonly is, deliberately false. -quoted from "The Crisis of Civilisation" in "The Essential Belloc", pg 2. Ad Orientem in the Ordinariate? Masses celebrated by priests in the ordinariate are likely to be ad orientem, according to one of its leaders. While the liturgy for the Personal Ordinariate of Our Lady of Walsingham has yet to be approved by the Holy See, Mgr Andrew Burnham said the Congregation for Divine Worship “is likely to commend eastward celebration, when the dynamic of the building suggests it”. Mgr Burnham also said that it may also recommend kneeling at mention of the Incarnation during the Creed. Quoted here in The Ordinariate Portal. Another set by Windy Gyle. Only one piper this time, Alice Burn on NSPs, and she's a little overwhelmed by all the fiddles, but it's a great set of Northumbrian rants. 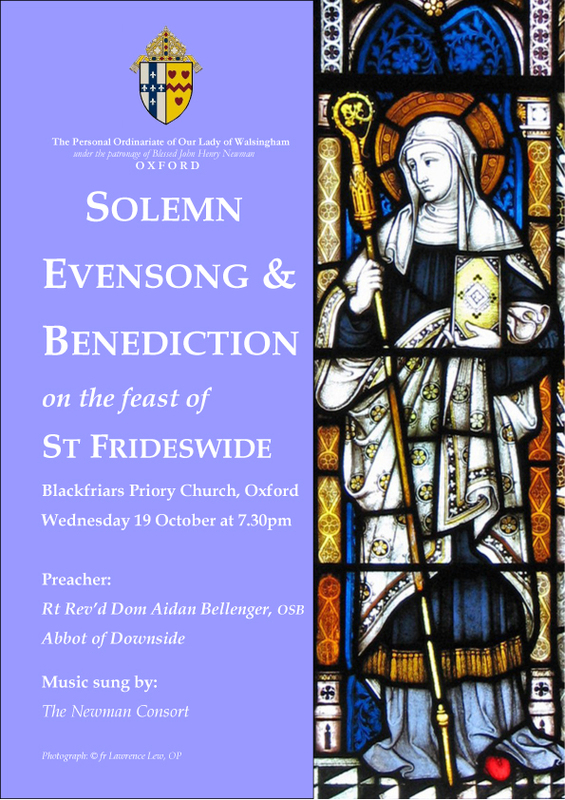 When first published back in October of 2011, there was a lovely poster here advertizing a Choral Evensong in the Blackfriars chapel at Oxford put on by the local Ordinariate group. Several weeks ago, the site hosting a copy of that poster (and a great many of my other pictures) vanished into the night taking with them my only copy of that poster. And that's why this blog-post has looked something of a puzzler for a while now. Some pictures from the last celebration can be found here. Not a chance in the world that I'll be there this time either. But doesn't it look wonderful? "The trouble with France is that there is no king. . . ."
Britain had its Distressed Gentlefolks Aid Association. In this morning's WSJ we find that France has taken that a step further with the Association for the Mutual Assistance of the French Nobility. And the web version has a video, too. The Roman feast of September 29 included, indeed, together with St Michael, the whole of the heavenly armies, and the Collect of that Mass declares that the special Office entrusted by God to the Angels is that of watching faithfully over us. This profound teaching of the Doctors of the Church establishes a wonderful unity between the visible and the invisible world, and between mortal and angelic beings. The higher orders of creatures are in close communion with the lower orders, whom they enlighten and protect. . . . .
. . . Paul V in a decree of September 27, 1608, declared the feast of the Guardian Angels duplex ad libitum, and ordered that it should be kept on the first vacant date after the feast of St Michael. Clement X assigned it, later, to October 2. The guardianship of the faithful is given by God into the hands of the angels, not only for the sake of the unity and harmony which bind together the orders of creation, but also on account of the duty owed by the angels to Christ. It is from Christ that they receive their glory, therefore out of gratitude to him who is caput hominum et angelorum these blessed spirits watch over the Church, the chosen Bride of the Saviour, and over the faithful who are the members of his mystical body. The epistle [for this feast] is taken from Exodus xxiii, 20-23, in which the Lord promises to the people of Israel journeying towards Palestine the guidance and help of his angel. The angel represents God himself; he is overshadowed by his ineffable name, wherefore the children of Israel cannot offend him with impunity. He is also the avenger of the outraged sanctity of God, and has power to punish that carnal people and bring them to obedience and fear of him. In many stories of the saints we notice the same severity shown towards them by their guardian angels, who punished the slightest imperfection of which those chosen souls were guilty. The motive of this loving discipline may be sought, perhaps, not only the wise counsels of Providence aiming at the purification of certain predestined souls who were inspired to attain extraordinary sanctity through the ministry of the angels, but also in the exquisite perfection of the angelic nature itself, which is less able to understand human nature than are Jesus Christ and his Blessed Mother, having no personal experience of human weakness. "Non habemus Pontificem qui non possit compati infirmitatibus nostris, probatus per omnia, absque peccato." The Gospel is that of May 8. The Saviour's words clearly reveal the wonderful mystery of his mercy, which forms the object of to-day's festival. Every Christian, no matter how small or humble he may be, has an Angel to guard and watch over him. This great truth should fill us with love and respect for our neighbours, and more especially for the weak and for the little ones, who cannot rely upon their own powers and influence. Let us be careful not to grieve our neighbour, lest the anger of his angel by aroused against us. We should have a great veneration for the holy angels, to whom God has assigned the care and government of creation. St Paul had so great a feeling of reverence for the angels, that when he directed that Christian women should cover their heads in church, as a sign of modesty, he desired that this should be done propter angelos, that is to say out of respect for the blessed spirits. I believe, O holy Angel, that thou art appointed by God Almighty to be my guardian, Wherefore through Him who has set thee to this task, I, who am so miserable, so weak, and so unworthy, humbly ask that thou wilt ever and always in this life watch over me; that thou wilt guard me from all evils and ever shield me. And when God shall bid my spirit depart hence, let not the devils have power over it, but do thou gently receive my soul from my body and lovingly bear it into Abraham's bosom, at the biddng and by the help of my Creator, my Saviour, and my God, who is blessed for ever and ever. Amen. 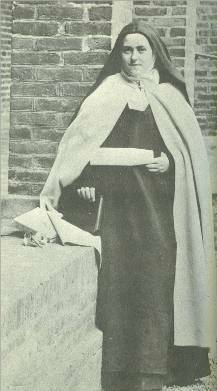 The Carmelite calendar honours St Therese today. Though we must needs be pure indeed to appear in the presence of the God of all Holiness, yet I know too that He is infinitely just; and this justice which affrights so many souls is the ground of my joy and my confidence. Justice not merely exercises severity towards the offender; it moreover recognizes a right intention, and awards to virtue its recompense. I hope as much from the Justice of the good God as from His Mercy; it is because He is just, that "He is compassionate and merciful, long-suffering and plenteous in mercy. For He knoweth our frame. He remembereth that we are but dust. As a father hath compassion on his children, so hath the Lord compassion on us!". . .(Ps. 102:8, 13, 14). Listening to these beautiful and consoling words of the Royal Prophet, how can we doubt but that the good God will open the portals of His Kingdom to His children who have loved Him even unto sacrificing all for Him, who have not only left their kindred and their country, for the sake of making Him known and loved, but, still further, desire to give their life for Him?. . . . .Most truly has Jesus said that there is no greater love than this! How then could He suffer Himself to be outdone in generosity? How could He purify in the flames of Purgatory souls consumed by the fire of Divine Love?. . . .
That is what I think of the justice of the good God; my way is all confidence and love, I do not understand those souls who fear so tender a Friend. 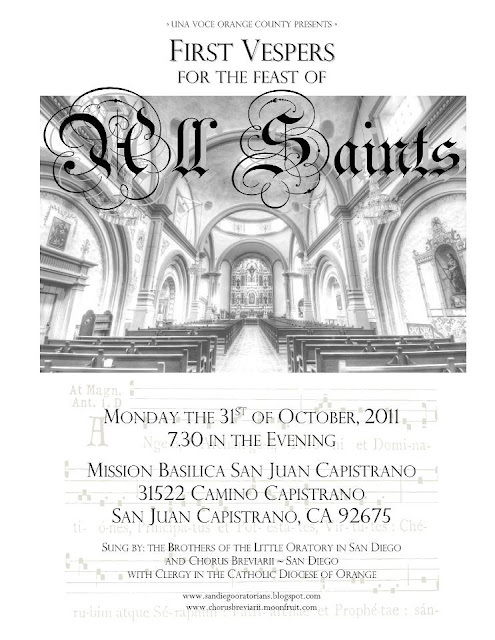 VI Letter to Her missionary "Brothers".